The genius scientist, physicist, cosmologist and author Stephen Hawking left the world teary eyed. The news of his demise is a heart-shattering news for the world. He at the age of 76, passed away. The world will remember him for opening our minds to possibilities and theories that we could think only. He was not only a great contributor to the field of science but also had an outstanding sense of humor. Whoever took his interview know how savage replies he used to give in his lifetime. His appearance in ‘The Big Bang Theory’ and ‘Simpsons’ will be remembered forever. Doctors gave Hawking only two years of life when he was 21 as he was diagnosed with ALS. His confinement to a wheelchair completely shattered the physicist. But nothing could stop him to create big. The physicist desired to visit India. 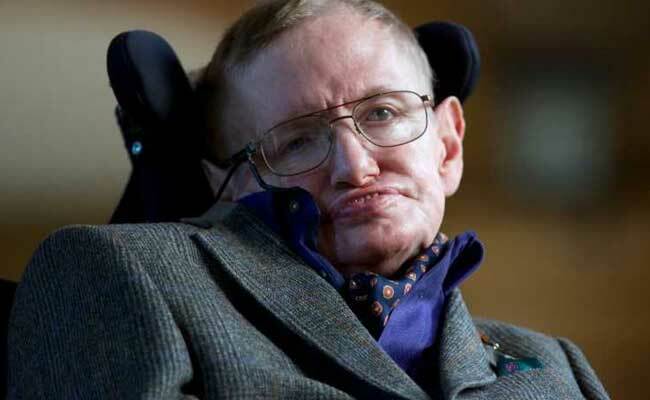 News 18 reported that Red Fort, Humayun’s Tomb, Jantar Mantar, Qutub Minar and the Taj Mahal were in the travelling wishlist of Stephen Hawking. So, he sent a letter to the name of Javed Abidi, the Honorary Director of National Centre for Promotion of Employment for Disabled People (N.C.P.E.D.P.). But, his letter didn’t actually help him as N.C.P.E.D.P. believed that they could not allow modifications to any historical monuments. However, they made temporary ramps that helped him to visit the historical places of his wish list. It made the physicist came to India and seeing Qutub Minar and Jantar Mantar but his wish to visit theTaj Mahal left unfulfilled. Realizing this, the then Tourism Minister Ananth Kumar ordered to make all the historical places especially the Taj Mahal accessible to the disabled. It was being demanded by Indians for a long time and Hawking’s visit have made it possible. Though, his wish to see Taj Mahal remained unfulfilled but he made sure to made accessible to all the disabled.